Yes, it's time for yet another blog but this one will be very much of the occasional variety. 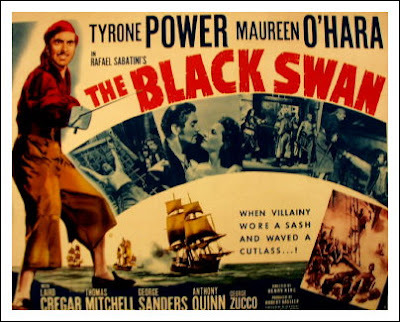 I have always enjoyed swashbuckling films from the golden age of Hollywood (thanks to my mother; who told me all about films such as Captain Blood and the Black Swan well before I had the chance to see them). 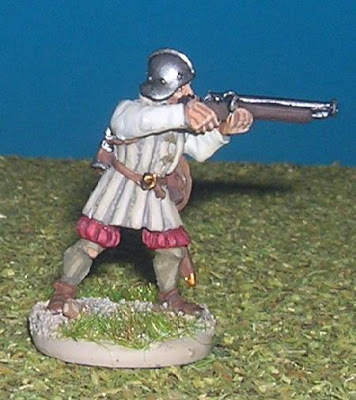 I first became interested in this period for wargaming when I saw the lovely Foundry swashbuckler figures for the period of the Elizabethan sea-dogs (done by Mike Owen, I am pretty sure). I painted quite a few of these with really no idea what I would use them for other than some vague idea that I could send them to Africa to fight my tribesmen. Then I got some Foundry Pirates and, amazingly, have actually played a couple of Games at Guildford with these using the enjoyable Blood and Swash rules by Buck Surdu. Lastly, I bought a Foundry deal of Conquistadores (I even painted one- above) and then bought a few TAG Aztecs. Latterly, (and despite having flown in from Mexico today) I have decided I can't face painting so many complex figures for such one sided actions so, again, I think my Conquistadores are destined to end up in Africa or, possibly, up the Amazon being chased by some of Mr Copplestone's Indians. 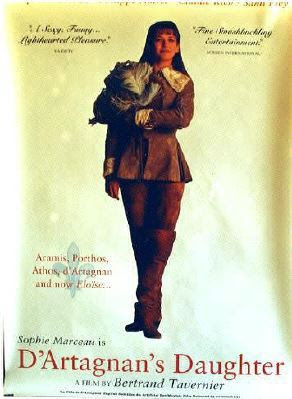 Now, I am very tempted by Brigade Games new musketeers (partly because of all their rather spiffy ladies - there's nothing like a girl in tight britches, boots and brandishing a rapier - especially if it's Sophie Marceau!) and have bought the Gloire rules as well. You brilliantly bring up Brigade Games' beneficially benevolent,or basically benignant bequest of a bevy of beauties bedecked in buckskin breeches and boastfully bestriding a-bout in boots beneficently beyond and a-bove the knee. So, I sincerely say such a sight seems simply swashbucklingly swell. So I sympathetically and sociably say, Sophie is surely spectacularly spirited, sparklingly superb, skillfully set in such swashbuckling fare. So, there! Naturally, I necessarily noted all the attuned attendant alliteration ascribed in the properly proffered post providentially positioned in this place, and as authoratively assembled and ascribed by you. Thus, my own overt obligingly observance of your amassed artful alliteration. Conversely, I considered contacting you or your site since I yearned to so sincerely tell you that the subsidary site stated to survey some few females as "FUR CLAD" Cavegirls seemed to be somewhat suspiciously suspect? I invariably intuited not nary a niggling critical crucial "Cave" anywhere at all. What, oh what was a consistent conspicious "Cave Girl" without her hovel of an honest cave home? And, as ascribed, I am naturally not nastily noting a foul Freudian fetish to the "Cave" conspicously contained in....! But, I basically befittingly broach the cave concept in cinematic considerations since it contains the professed philosophic Platonic concept of the "Cave" and an attendant show of superb shadowy images inscribed in the walls by which we will warrant was warily an apparent ancient attempt at seeing some sort of flickering film-like forms readily resoundingly reflected on the cave walls (Plato professed a particular profound perverse partisanship against all aspects of the "Cave", but I critically can see some surprising asumptive analogies or aspects that I approve. Since you seemed to supply some swashbuckling situations from cinematic situations, I should somehow say some scientists might supremely say that swashbucklers, of the type that distinctly or directly deals with masked avenger motief, magnificently makes a mellifluous or melodious mental metaphor for all ascribed aspects, and i sense specially situated in the sense of seeing such swashbucklers set on shadowy masked-avenger swordsmen of the silver screen. You see, swashbucklers situated on the setting of masked avengers are ascribed as appealing to the masked avenger in all of us. Where we wearily and warily work as mousy, meek, mere minions by the millions, we willfully want to make our mark--like Zorro's zinging "Z". Thus, the thematic twilight of the darkened theater delivers our otherwise obedient "Other" self as a supreme swordsman situated to sever our ties to our true troubled self. 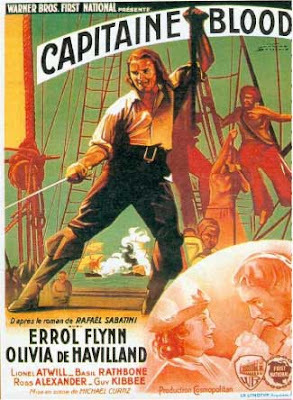 Literally, like the literary Masked Avenger, we have our meek self in the troubbling true world, but when we warrant the dimming and darkening destiny delivers our outgoing otherworldly superb swashbuckling self in cinematic zeal. Thus, the theater reflects a rather real (reel) reality back to our benighted, benumbed, borrowed self. Jarringly, this judicious justification just does not merely or miserly apply to males, but juxtopositioningly, it justifiably applies to almost all. Jung's theory of the Collective Unconscious, creates a critical connection confirming that females are forcefully found to follow or forward this same forceful fatefully fated feeling. Jung judiciously a-judged that most dreams drearily detail one's particular personal perceptions and essential expressed experiences. However, he happened to discover details that dramatically delivered the impressive insight indicating that there were tell-tell signs from his surveys showing some surprisingly suggesting situations. Some deams, so described and detailed, seemed so similar to so many others, from all over the observable world, that the titanic theory of a collective unconscious could not be calumnated or critically critized any more. Thus, the terrific twist is interesting in that "Amy" alarminglly assayed and assumed the attributes of the central crucial critical characters from the fabeled forties film, "The Wicked Lady", James Mason and Margaret Lockwood, whom we willfully watch engagingly and entertainingly essayed the emphatic, if entirely ephemeral, ensign in-escapingly epitomizing the eponymous epithet of: The Wicked Lady. Dr. Carl Jung journeyed and judged that the theme of the "Shadow" surely seemed to show-up universaly, ultimately under the same or shockingly similar dreams as dramatically distinctly detailed in dramatically diverse cultures, critically cryptically culled from his fortitious forrays into foreign lands far and wide. The "Shadow", as jiffily jibbed by Jung, jauntily jutted and juxtoposed as an adamantite aspect. It is indeed interpretered as the supposed strikingly singular dream with which we all will somehow statistically share. This dramatic dream details or describes a supposed "Shadow" like figure; the face is forever un-focused or fully furitive from our fleeting view. Either the entity is entirely critically covered, caped, masked, or mysteriously made somehow seemingly secretively set or situated and surounded in swirling shadows. Thus, the telling term: "Shadow". The sonombulant "Shadow" sensation seems to always steadily show something of a rigorously radiant romantic (Romantic as reputedly revealed in reams of 19th century literature: adventuresome.) outlaw. Ordinarily, we obediently observe the outlaw seems to do things we typically decry or delicately detest, but we desist or demonstratably decide to defer to the the "Shadow" such debateable dire details. Significantly, the "Shadow" is almost always ascribed as or specifically set as a sleek, slender, young, youthful, yearling sort, betrayed and almost always arrayed in basic black. This theme or telling thread is intellectually interesting in that Jung justifies his judgement in judging that the "Shadow" in males is managed or manifested as faithfully and fully formed from their feminine side. Somehow slavishly, we will waggishly waver and never notice the notable factual feminine features of the "Shadow". It is indeed a reversed reflection of ourselves. Jung jolts and jars us and unflatteringly tells us the "Shadow" is a slender segment of our-selves. We will waken and wonder if it is our obligation to furiously and fittingly fight ourselves, but Jung juxtoposes this judgement and judiciously tells us that the "Shadow" is deliberately or duely our dark side, but it is intended not to be nullified, nuked, or noxiously negated. No, our "Shadow" is set or ordained as our strong side, and it is intrinsically innate and notably naturally necessary in our struggle to destroy and defeat our true and totally titanically dreadful dedicated evil foe: "The Beast" (Devil/Dragon, or other dire and deadly dreadfuls). The "Shadow" is our slipperly and slightly evil side (Female side-most cultures consider the feminine to be the evil side. ), it is intended to be mastered, but it is not distinctly intended to be deliberately destroyed, for it furnishes the full furious strength to finally defeat our fiendishly foul foes. Jung a-judges the jaunty "Shadow" for males to be their trusty feminine side, and it is interesting that even if we reluctantly reject the revelation that the "Shadow" is a secret section of our-selves, Jung and the jumble of Jungians (Post-Jungians) judged that most mainly manly males are attitudinally attuned to literally and liberally letting the Romantic Outlaw much more licentious lee-way from objectionable outcomes or overt criticism, than we would widely warrant with others. We will warrant or find with young females (Often older females ordinarily offer this take on the tale too! ), the "Shadow" seems to somehow conspire and cajole or convince them to rebeliously run-away with the Romantic-Outlaw, or we obligingly find they are somehow kindly kidnapped, and arrestingly, as-well-as astonishingly, but keenly or kindredly and so suddenly or shockingly find themselves with the Outlaw, and heroically or honestly helping them to transpire and transgress, tort, or tresspass. Thus, the thinking is that the "Shadow" serves as something of an alter-ego apparently applying an appetite or appelation of rebeliousness to readily reveal itself in the prospective proper time--puberty. The time that the suggestive "Shadow" seems to betray or be the broadest biggest theme in our dreams is puberty--both for males and females, but it is inscribed inside our intellect forever. These dreams are duely detectable and dramatic through the totality of one's ordinary lifetime. I intended to intellectually insert something scientifically suggestive about the justifiable judgement that Jung's writings or work was warranted or scientifically supported by showing that the themes or ascribed attendant archetypes (Images and inscribed intended motiefs) surely seem to be replicated in all attendant aspects of artwork (literature literally and liberally laced as well!) around the artwork as artifully assembled in the wide wild world. And as support for this surprising but scientifically supported supposition, we see that the tests and trials tend to totally support the supposition that we are all attracted to tales that tangentially tend to have more engagingly embedded examples of these archetypes as opposed to artwork and ascribed assembled tales that don't. Thank you for your absolutely amazing alliterative comments. The time taken to carefully compose such a massive missive must have easily exceeded the total time taken to write, research, re-arrange really the whole of my blog.